We LOVE to treat you Special! 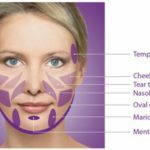 Get $50 Instant Rebate OFF 20 units or more of BOTOX! (That’s $165 for 20 units, making it just $8.25/unit for the first 20) PLUS, Get another **$70 OFF your next treatment in 3 months! *This special uses a Brilliant Distinctions Instant Rebate, therefore you may NOT have done Botox within the past 90 days to qualify. *You may ADD your own Brilliant Distinctions points as well! *Special will run until rebates run out, so hurry! Get *$100 OFF the 1st syringe of Juvederm Ultra, Ultra Plus or Voluma AND $150 OFF the 2nd syringe!!! Want the NEW Volbella? We’re taking $20 OFF the 1st syringe AND *$100 OFF the 2nd!!! *Includes a $100 Instant Rebate from Brilliant Distinctions ~ may be combined with the Botox Instant Rebate ~ you may use existing BD points ~ but it’s while supplies last, so call TODAY! What exactly is PRP??? 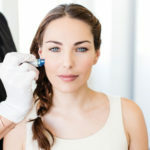 The internal essence of your blood contains life-giving fundamental protein growth factors – MicroNeedling WITH PRP uses that Platelet-Rich Plasma, retrieved from a simple in-office blood draw, to rub into the skin while the MicroPen is creating controlled micro-injuries to the skin in order to aid in the production of collagen and elastin. 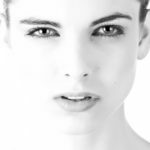 The skin’s repair process results in a thicker epidermis with a softer appearance of wrinkles, improved skin tone & texture and improved marks & scars. What is the Opera Mask? It’s LED Photo-Therapy is a treatment that’s been around for decades. The OPERA mask emits visible Red, Blue & Pink lights to provide benefits such as skin rejuvenation, increased blood circulation, increased levels of oxygen and nutrients to the face & neck, deeper penetration of products, healing, sun damage, wrinkle reduction, tightening, rosacea, tone & texture, and acne. Normally a $50 add on to any treatment, get it FREE with PRP this month!